Kolberg, Kravis Roberts & Co. (NYSE: KKR) followed its June acquisition of PRA International, one of the world’s largest clinical research organizations (CRO), with the July buy of ReSearch Pharmaceutical Services Inc. (RPS) from Warburg Pincus. Upon close of both transactions, PRA and RPS will merge under the leadership of PRA CEO Colin Shannon. RPS will operate independently as the new Strategic Solutions Division of PRA. Citigroup acted as exclusive financial advisor and Kirkland & Ellis LLP acted as legal advisor to RPS. Credit Suisse, Jefferies LLC and UBS Investment Bank served as financial advisors to KKR. Simpson Thacher & Bartlett LLP served as legal counsel to KKR….Want to read more news? Click here for a free trial to The Health Care M&A Information Source and download the current issue today. Hark back to July 2012, immediately after the U.S. Supreme Court handed down its decision to uphold most portions of the Affordable Care Act. A flurry of transactions were announced across all areas of health care, with nearly two dozen deals along coming during what is typically the laid-back holiday week of July 4. That activity wasn’t sustained throughout Q3:12, as the number of announced deals dropped to its lowest point in any quarter of 2012. Fast-forward to July 2013, and the number of transactions is already 6% higher than the same month a year ago, with a preliminary total of 76 deals. If this pace keeps up, Q3:13 could be the strongest yet, at least by deal volume. Theragenics Corporation (NYSE: TGX), a medical device company based in Buford, Georgia, signed a definitive merger agreement to acquire all of the outstanding common stock in Juniper Investment Company, LLC for $2.20 per share in cash. That puts a value of $64.3 million on the deal, which is expected to close in the fourth quarter of 2013. VRA Partners is acting as Theragenics’ financial advisor and Brown Gibbons Lang & Company is acting as the Board’s independent financial advisor. Bryan Cave LLP is acting as Theragenix’ legal advisor. Juniper is acting as its own financial advisor, and Shearman & Sterling LLP is acting as its legal advisor…..Want to read more news? Click here for a free trial to The Health Care M&A Information Source and download the current issue today. If getting a colonoscopy ranks up there with root canals on your list of dreaded procedures, you have plenty of company. But you probably haven’t heard of the SmartPill or its cousin, PillCam, from Given Imaging Ltd. (NASDAQ: GIVN) of Yoqneam, Israel. The good news is, the SmartPill Wireless Motility Capsule procedure received a new reimbursement code earlier this year. The SmartPill is a sensor-based capsule technology that measures “gastric emptying, small bowel transit, colonic transit and whole gut transit times” to help with the diagnosis of gastrointestinal conditions and diseases such as Crohn’s Disease. So the next time your physical rolls around and your doctor mentions that unpleasant procedure, ask about the SmartPill. You may be glad you did…..Want to read more news? Click here for a free trial to The Health Care M&A Information Source and download the current issue today. The skilled nursing market is dead, right? Medicare and Medicaid reimbursement uncertainties are keeping buyers out of the market and prices low, right? All wrong. It is time to think again about the skilled nursing sector and the acquisition market. Find out more from our expert panel. 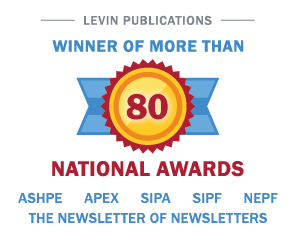 Go to http://www.levinassociates.com/conferences/1310-online-conference or call 800-248-1668 to register. Deals have been made. The 2013 Health Care Services Acquisition Report contains private deals in this market that are too small to make it into the financial press. Go to http://www.levinassociates.com/landing/har19order or call 800-248-1668 to order today!